Kimber had chosen the perfect day to do her bridal sitting. The weather was lovely, albeit a little sunny. The flowers at the Emporium were some of the most beautiful and fragrant of the season. We had a great time and guests are in for a fun yet elegant wedding with this bride! 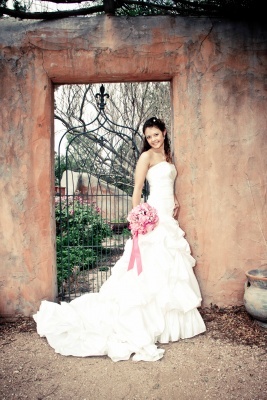 I am looking forward to photographing her wedding at The Marquardt Ranch on May 14, 2011. PLEASE NOTE: We do not post images from bridal sittings containing the wedding dress prior to the wedding day without the bride’s permission. For more bridal images, please visit www.facebook.com/StraughanPhoto.